Terri Wangard: John Wayne, American Hero? John Wayne was an iconic American actor. I never knew why. Actually, I’d never watched more than fragments of a John Wayne movie. He seemed so blustery. When I had the opportunity to read a new book on the actor, I did. 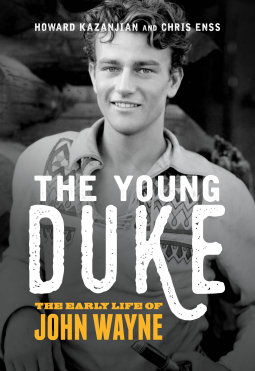 The Young Duke: The Early Life of John Wayne was an eye-opener into the life of this larger-than-life man. Marion Morrison’s mother Molly was a shrew who complained incessantly about her husband Clyde’s lack of ambition. She felt entitled to an aristocratic lifestyle they couldn’t afford. She wanted Marion to be an attorney, successful in business and finance. She resented that he favored his father. The family moved from Iowa to California for Clyde’s health. Marion had a dog he called Duke, which became his nickname, and he preferred it over his sissy name. Duke attended USC on a football scholarship. Movie celebrities liked to watch the winning Trojans, and cowboy star Tom Mix exchanged summer jobs for players at Fox Films Corporation for box seats. Duke Morrison got one of the jobs, and Mix suggested Duke work as an extra in his next Western. Director John Ford got him to appear in Salute. In Ford’s next film, Men Without Women, Duke appeared again and did stuntwork. He didn’t actively seek out roles, but didn’t turn them down. Raoul Walsh cast him in The Big Trail. Studio executives objected to his name; Duke Morrison didn’t sound American enough. He became John Wayne in 1930. After he started acting, Wayne studied the craft. Paul Fix taught him what to do with his hands while talking and other basic movement skills. Fix also changed Wayne’s gait, pointing his toes into the ground as he walked, causing a distinctive sway to his shoulders and hips. Ford got mad at Duke for starring in The Big Trail, even though he had suggested him, and refused to speak to him for seven years. Columbia Pictures president Harry Cohn got mad at him because he thought Wayne had an affair with his co-star, Lara La Plante, whom Cohn liked, and retaliated by casting him in demeaning roles for three years. Cecil B. DeMille asked him to his office in 1937 to discuss Duke possibly appeared in a Western DeMille was producing. DeMille kept him waiting over an hour, and then spent their time together critiquing Wayne’s work and explaining why he would not cast him in the lead. 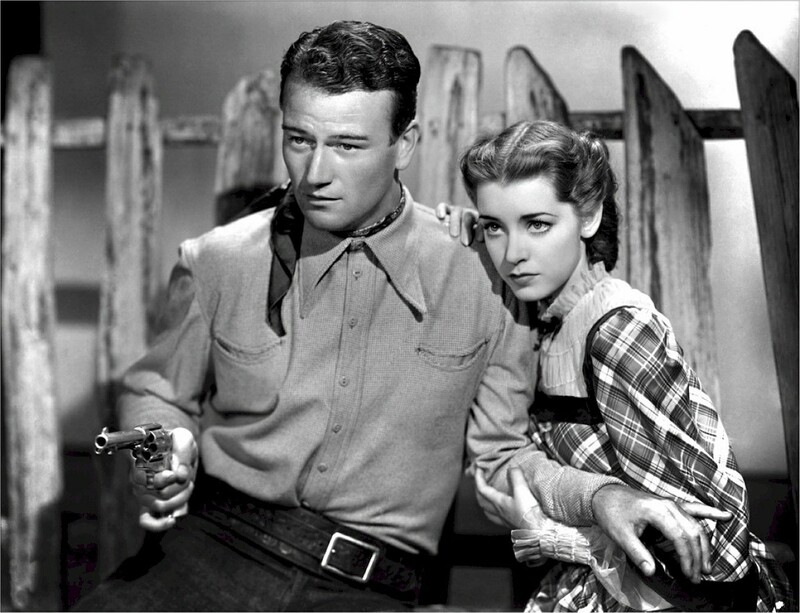 Ford got over his pique and cast Wayne in Stagecoach, the film that took him out of B Westerns and made him an A star. Wayne’s marriages don’t cast him in a good light. He didn’t approach marriage wisely and wasn’t a faithful husband. John Wayne met Josephine Saenz in 1926. Her parents forbade her to see him, an unemployed teenager with no social standing, money, or prospects, a part-time actor who didn’t regularly attend church. After a six-year engagement, they finally married in 1933 in a lavish ceremony at Loretta Young’s Bel Air estate. Josie organized posh affairs which John was not comfortable with. She was not enamored with the Hollywood scene. They distanced themselves from each other’s lives. Four children were born between 1934 and 1940, but his torrid love affair with Latin actress Chatta Bauer led to a divorce in 1944. Friends and Ford had tried to curb the affair, but Wayne resented their interference. He then wed Chatta in a volatile marriage doomed to fail. He was a patriotic American, yes, and Congress awarded him a Congressional Gold Medal inscribed to John Wayne, American. (Not the Medal of Honor as reported in The Young Duke.) His personal life wasn’t noteworthy. I decided the next time a Wayne film was on TV, I’d watch it in its entirety. Maybe a full movie would enlighten me. The Flying Leathernecks aired several days ago. It was okay, but I still don’t know what all the fuss is about. Are you a John Wayne fan? I've enjoyed some of his movies. I got a kick out of some where Maureen O'Hara was his leading lady. I didn't know about his infidelity but it annoys me when he would throw an object to the ground and leave a tent or room. Leaving the object for someone else to pick up I imagine! I know some who hold him in great esteem though. It seems its better not to know too much about screen idols because they all had/have clay feet!